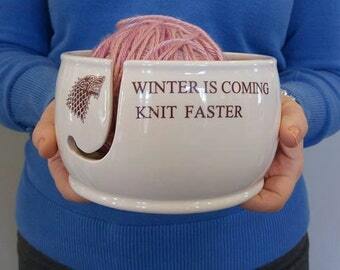 A handmade ceramic yarn bowl makes a beautiful accessory for knitting. Every Creativity Happens yarn bowl is handmade to the finest artistic and functional standards out of the earth's most beautiful and sustainable ceramic. 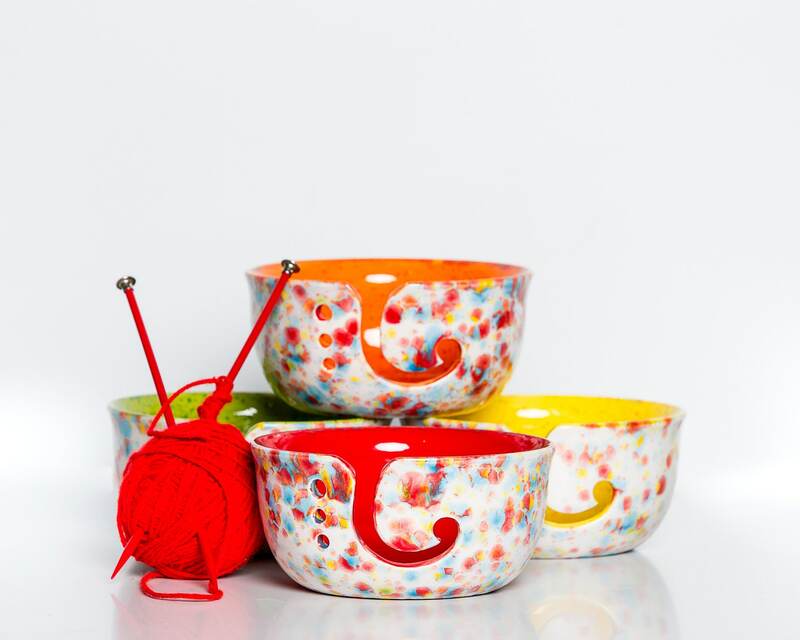 As a consequence, each designed yarn bowl is a functional artwork that beautifies your crafting environment. 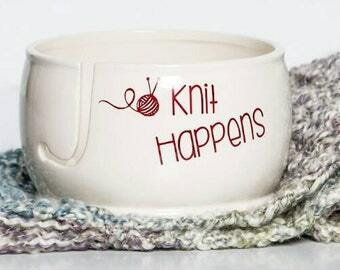 A Creativity Happens yarn bowl is the perfect way to protect your fiber investments. As you work with your yarn from a Creativity Happens yarn bowl, the skein will be carefully cradled and will not tangle or pick up the dust from other household surfaces. The smooth interior surface the yarn bowl also prevents snagging or catching. So cute! Comes in handy. I love the colours, especially the spacled green interior. It not an exact match to my other bowl and is a bit heavier which makes using multiple yarns easier. Also it is thicker than my original bowl and I am not as concerned that the new one isn't as delicate. Thank you for the beautiful piece of functional art work.